I am become sort of a beadboard expert over the years. I didn’t start out this way, but our house is old and already had a good bit of beadboard, and I have had to patch some over the years as well as installing new. Beadboard and wood planking comes in all sorts of sizes and dimensions and range in price from totally affordable to kind of expensive. I’ve used a bunch of different varieties for different uses. 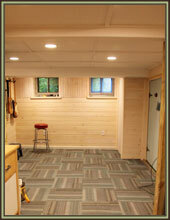 In the basement we have used 3 different types. 1. 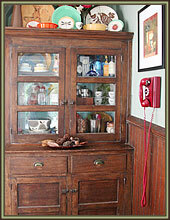 Walls: We used a classic full size tongue and groove beadboard for the walls. This is 3/4″ thick and approximately 6″ wide. One one side there is a “bead” in the middle and on one end, giving you about a 3″ repeat. On the back it is smooth with a simple v-groove at the joint. The basement already had some of this board on the walls, so we actually salvaged what we could for re-installation. The nice thing about this is that you don’t need any backup. This is strong enough to act as the wall surface. It is simply nailed to the studs. This is also what is installed on our porch roof (which is what this type of board was originally meant to be used for). Fortunately Home Depot sells it in 8′, 10′ and 12′ lengths. Thin Plank Ceiling in Bathroom. This is permanently attached. 2. 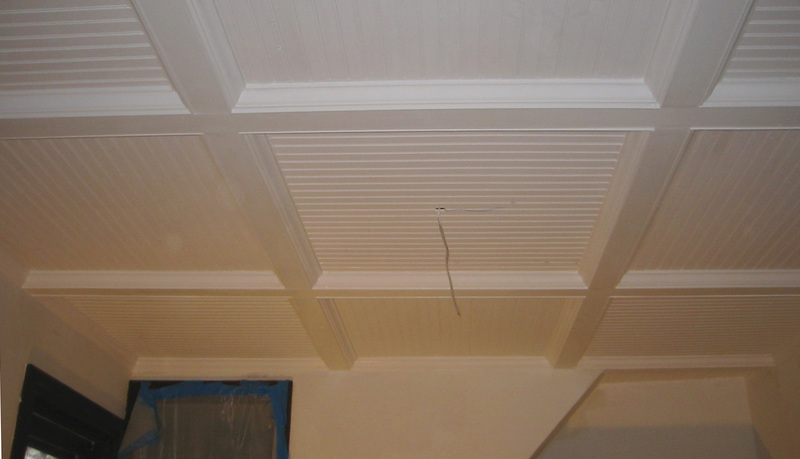 Ceiling Option 1: For our Dining Room Ceiling and the Ceiling in the new basement Bathroom we used a thinner beadboard product. It is still tongue and groove but it is only about 3/8″ thick. This will tend to warp, so it usually requires a back up material (in our case 1/2″ plywood). This nice thing is that it is really light weight and easy to cut. These come in shorter length and are packaged in sets. 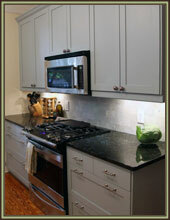 They are available in pine unfinished and white, as both a beadboard and a plank product. 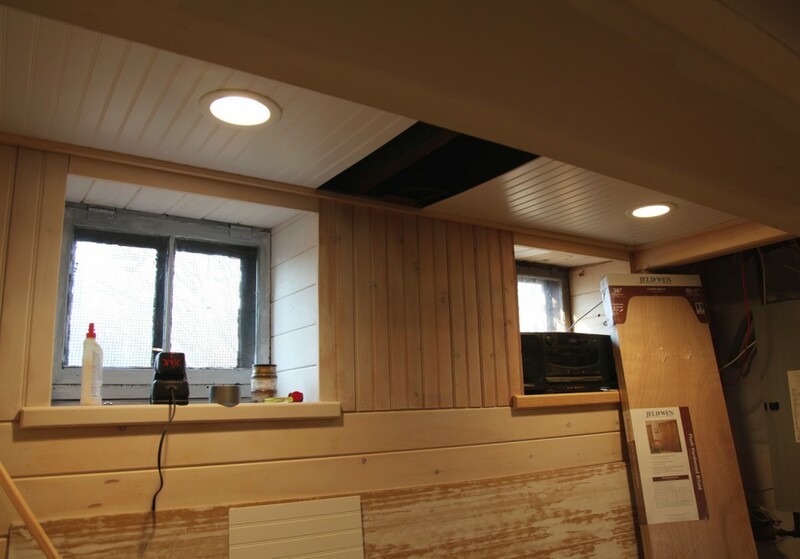 For our Dining Room we used the beadboard and for our bathroom ceiling we used the plank. In both cases we went with the less expensive pine and primed and painted it ourselves. However this isn’t a good option for a removable ceiling since the piece are flimsy and have a tendency to warp if not attached to a substraight. 3. Ceiling Option 2: For our removable ceiling we want with a sheet product. This is about 1/8″ thick and is available in a 4’x8′ sheet and primed white. This is easy to work with and inexpensive. However because it is so thin it will tend to sag, so we had to be careful about not making the spacing too large. This also meant creating a “grid” out of wood for the panels to sit in. The nice thing about the thin panels is that it helped us maximize the ceiling height. We even bent one panel about 1/2″ to allow for an extra low pipe. Step 1:We started by creating an upside down T shape out of 2 1×4 pieces and attaching them perpedicular to the floor joists above. This gave us enough space for the miscellaneous plumbing to fit. Step 2: Rough in lights as required. We centered our in each “bay” of the ceiling. This took a lot of effort to come up with a pattern. Our ceiling was full of pipes and other obstructions (we are below the kitchen). I stood there for about a half hour with my contractor and a piece of paper trying to come up with an acceptable pattern. Step 3: Figure out the spacing on the panels and test fit. Step 4: Install the cross pieces. We used 1×2 with a groove cut for the panel and notches out on either side for them to sit on the 1x4s running the other way. Step 5: Install all of the panels. Because everything is pretty snug it definitely takes a little adjusting to get them into place. We installed the ones with lights first,since the trim piece goes over the panel. I have to say that it is kind of pain to move them, but I don’t plan on doing it very often (maybe once a year to tops). The one advantage I do see is that if I get a leak above (i.e. the dishwasher) it would most likely only require taking 1 panel out. Step 6: Paint. Okay so I should have painted the frame before putting the panels in, but I didn’t. Oh well. I really like how it came out. Cost: I have also gotten several questions about cost. The materials themselves were not very expensive for this ceiling. Most of the cost is in the labor, for installing the upside down T-pieces (while dodging pipes), cutting the panels to fit and making the cross-pieces. It is also pretty slow going! If you are up for doing it yourself and you have the time, I think it is worth it. Paying for a contractor to do it, is definitely not cheap though. More Questions? Just add a comment and I will do my best to answer them. This looks great! Thank you for posting such detail. 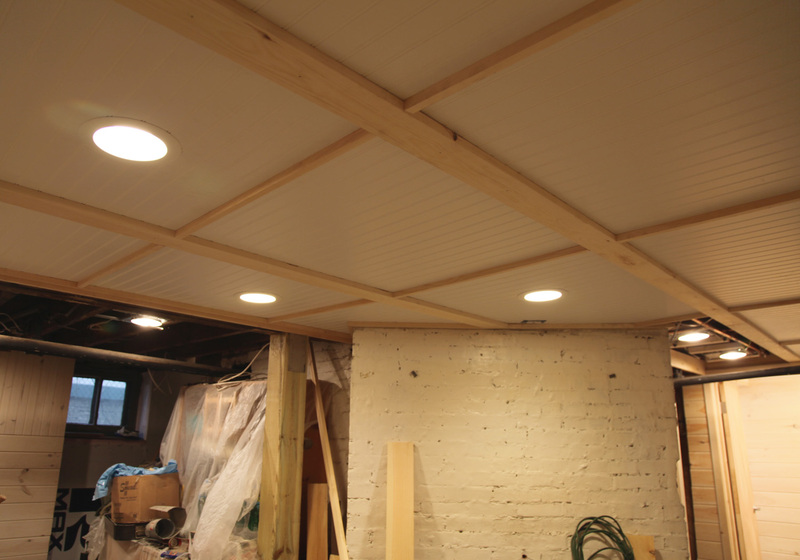 How high is the finished ceiling in the basement, and the dining room where you installed the beams? I’m interested doing this in our living room but I fear making the low ceilings feel even lower! Hi Jennifer and Welcome! 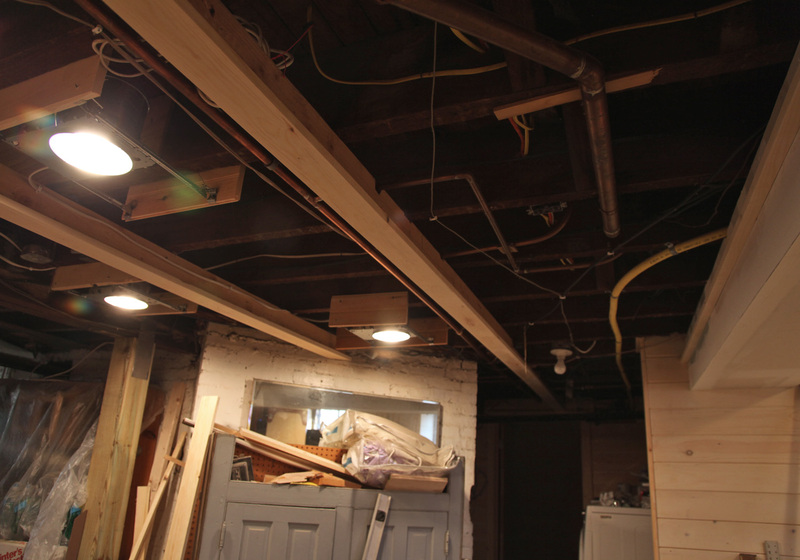 Our basement ceiling is about 6’10” and our dining room ceiling is about 9’6″ (so the “beams” are at about 9′-2″). I actually like the look of the beadboard even more at a lower ceiling, since it is more visible. I would think for a lower ceiling you would want to keep any “beams” to a shorter depth, so that they don’t feel like they are in the way. 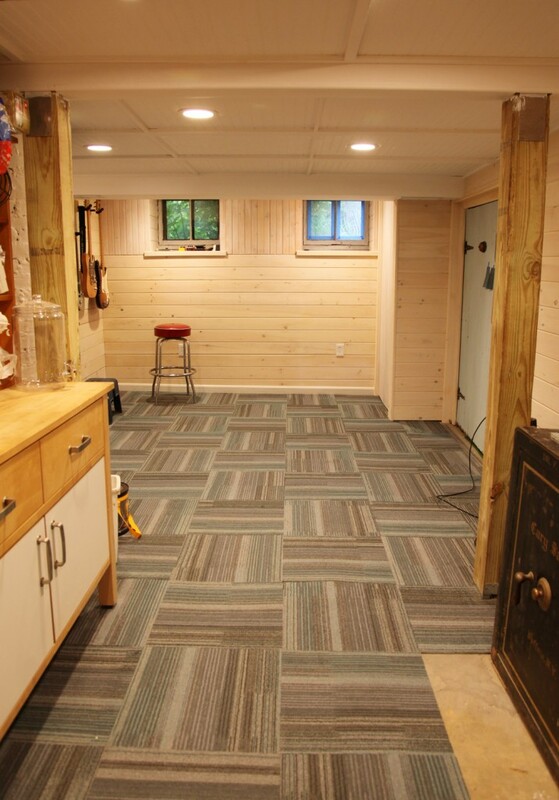 Typically for a regular space (not including a basement) I would try and keep the beams to about 7′-6″ minimum. Thanks for sharing. I really like the ceiling (option 2) with the removable panels. One question I do have is how did you attach the 1x4s to the joist? Hi Jim and Welcome! For the 1×4 T shape, I screwed them to the floor joists above (diagonally up from one side) at each floor joist. This required occasional shimming as my old floor joists aren’t very level, but it worked pretty well. I predrilled with a smaller hole to make sure it was headed in the right direction. I have learned so much from your project. Thanks for being so detailed with the step by step instructions. I’m doing my ceiling project by myself and this makes it totally doable. Thanks again. Hi Faye and Welcome! Good luck. I would recommend having a friend help you with some of the longer “grid” pieces, since it is hard to line them up without having someone there to hold the other end and check the spacing and for level. Do you think that it would be possible to attach a square of insulation to each removable section to help cancel some noise from above? Hi Sandra. Sure, as long as you have the space. We were pretty tight against some of the pipes. You would want to look probably for a rigid to semi-rigid type that was not flammable. Alternately you could glue regular ceiling tiles to the back, since they have a pretty good noise reducing factor. 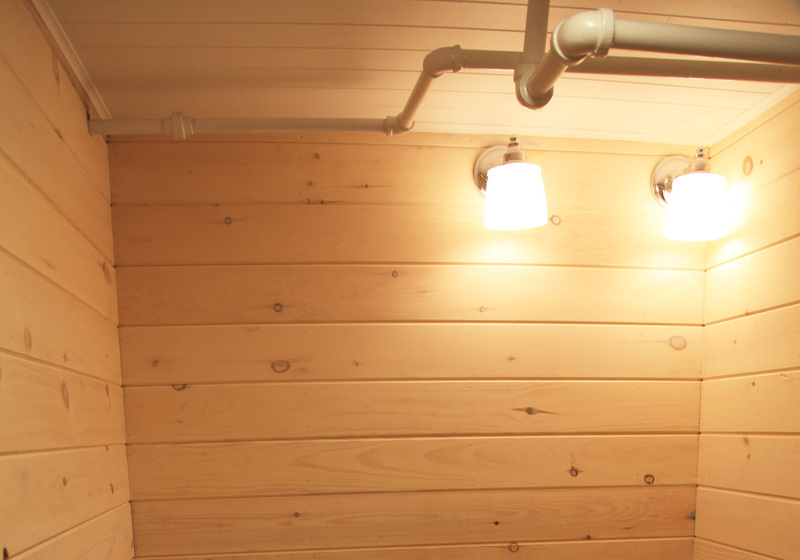 Another option would be to use regular ceiling tiles and apply beadboard wallpaper to them. what king of paneling did you use was it the PVC or pressboard product? We used the pressboard product. I have found the pvc to be more flimsy. Saw your post and it’s great! I was looking for a cheaper, classier solution to either sheet rocking or putting up expensive grid ceiling and this will be perfect for our space! What’s the dimensions of the squares you ended up with? 4×4? it doesn’t sag too much? Anything you would do differently having lived with it for a while? 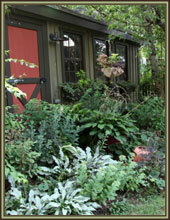 Ours panels vary in size but I would say that they average about 2 1/2’x 3′. I think 4’x4′ is probably a little bit too big (if you are making them removable). We have had a little bit of sagging on the larger pieces. I’ve been trying to come up with a better way to deal with this. One option I was considering was still using a wood frame but then filling the panels with cheap drop ceiling panels that are covered in beadboard wallpaper. 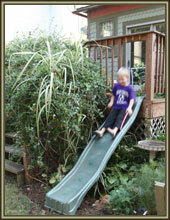 We also installed a similar design that is permanently nailed in place that is close to a 4’x’4′. 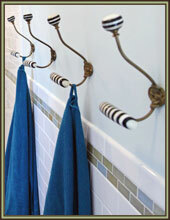 Since these are nailed to the floor joists above at each one we don’t have to worry about sagging. In that case we nailed the 4’x8’beadboard panels up first and then added the 1×2 and 1×4 trim directly on top to cover the seams and make the system more rigid. I’m a new homeowner looking to class up my current (extremely uneven, warped, and ugly) circa 1980s drop ceiling. 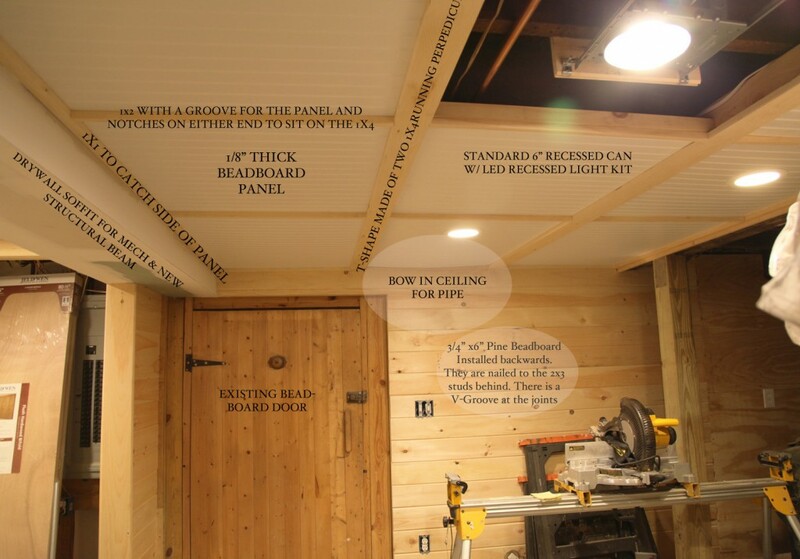 I LOVE the way your basement ceiling turned out, and I really want to try it myself, but I’m nervous about getting in over my head on a woodworking project that I don’t have the right tools to complete. Could you give me an idea what sort of equipment you needed to do this? Did you use laser levels to set the wood frames evenly? 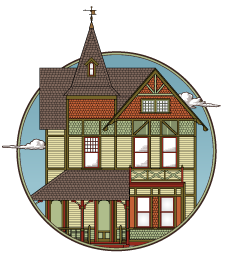 Did you buy all the beadboard and wood framing pieces pre-cut and/or notched, or did you use something to notch the 1×2 and 1×4 pieces yourself? We used a miter saw, drill fitted for installing screws, table saw for cutting the beadboard (althought the thin beadboard panels could be cut with a jigsaw or handheld circular saw pretty easily). I don’t have a laser level but used an old school one a lot. I think getting the frame level paired with cutting the beadboard takes the most time. 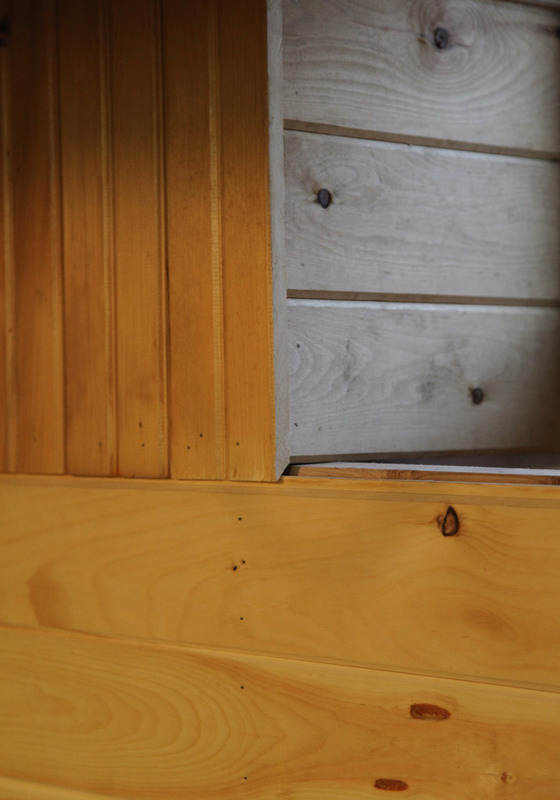 If you don’t need access to the ceiling you could alternately install bigger sheets of beadboard and nail them in place, followed by installing the trim below with screws. We did that in the portion of the ceiling that we didn’t need access to. Since we were installing straight to the underside of the joists that is actually more straightforward (and requires less cutting). Hope that helps!